General McArthur Hambrick is a native of Fort Worth, Texas. He is a graduate of Texas Christian University, with a Bachelor of Fine Arts degree in Dance. General also studied dance at American Ballet Theatre, Dance Theatre of Harlem, and the Alvin Ailey Dance Theatre. School. 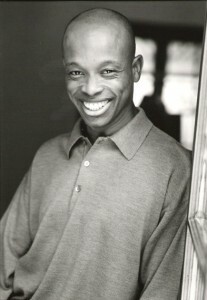 He was a soloist with the Fort Worth Ballet, and Hartford Ballet Companies, Dancers Unlimited in Dallas Texas and Minnesota Dance Theatre in Minneapolis, under the artistic direction of Lise Houlton, where he was awarded the 1999 McKnight Fellowship for his achievements in the dance community. He was also the recipient of the 2001 Natalie Skelton Achievement Award and the 2001 Wyoming Arts Council Performing Arts Fellowship. His musical theatre credits include both the Broadway and National touring companies of Cats, Miss Saigon, and Andrew Lloyd Weber’s Phantom of the Opera. Off-Broadway he appeared in the revival of Martha Clarke’s critically acclaimed, Garden of Earthly Delights. General also toured with 25th Anniversary Tour of A Chorus Line. Regional credits include Swing, Once On This Island, Jesus Christ Superstar, The King and I and many others. He appeared as guest vocalist along with Della Reese on the PBS special; With Ozzie and Ruby: Life Is. Professor Hambrick served as director and choreographer of the former Centennial Singers, a musical theatre touring group, from the University of Wyoming. General is also the founder and director of the Joyful Noise Choral Ensemble of Fort Worth, Texas. Most recently he received his Master of Fine Arts in Dance from the University of Washington. He is currently Assistant Professor of Dance at West Virginia University. Please click below for General’s latest resume.